So we have talked about decorating your Mantel, and Tree, and found lots of ideas for Wreaths. And I even shared some of our favorite Christmas treats. 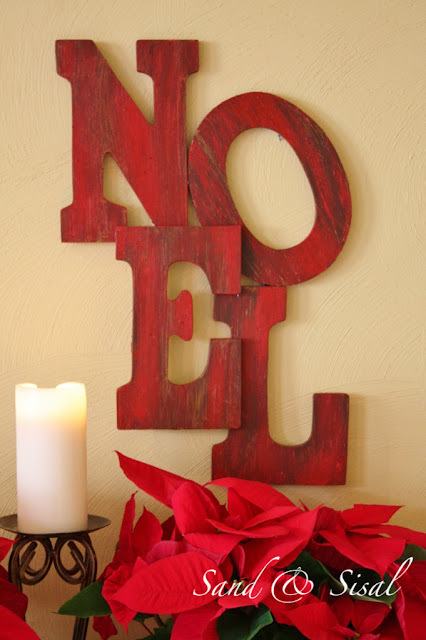 Today I would like to share with you some other Christmas décor, or Frills, that you could easily create in your home. Would you ever guess they are made out of tomato cages?? Wrap the cages with garland and lights and put on top of some sort of planter. Love this idea! Much cheaper than the topiary trees in the stores. Or here is another idea – wrap up some empty boxes and use as a topiary outside. You could decorate in front of your windows, from the chandelier, or under the mantel by hanging pinecones or ornaments. I love lanterns! And you can pretty much use them any season of the year. Decorated at Christmas is my favorite though! Here’s another idea for how to display Christmas cards. Take some old sticks, put in a vase, and clip or pin your Christmas cards to the branches. I loved this Pottery Barn knock-off that was popular last year. Another wall hanging – so festive. and another cheap idea – Epsom salt surrounding candles in a canning jar. You can also use Epsom salt to coat candles for a shimmering, snowy effect. Love th is idea for a centerpiece too. The candles and red and white are just perfect together. You could even use wrapped peppermints so it could serve as double duty as centerpiece and treat tray. I think these are adorable. Take an old sweater or find one at a yard sale and use it to wrap candle holders. You can use pinecones as a sort of topiary tree too and line them down the center of your table. I could go on and on but I won’t keep you anymore. If you need some other inspiration ideas, do a search on Pinterest for Christmas ideas! Tons and tons of ideas there. And come back next week as I will be revealing my Christmas décor – mantel, tree, table and more! I love lanterns too! I have some from Ikea that I use for every season! I do candles with epsom salt too, looks so sparkly and pretty! These are all really great ideas. Thank you for sharing!!! you are welcome! thanks for reading along! Great ideas! Especially love the tomato cages turned into topiary trees. How clever! I love the hanging pine cones, it doesn’t even have to cost anything. We have a lot of pine cones here. In fact, I was out walking/jogging today and stepped one, and twisted my ankle. I better go hang some pine cones. It might make me feel better 😉 Also, I love the lanterns. They looks so warm and romantic. Awesome ideas!